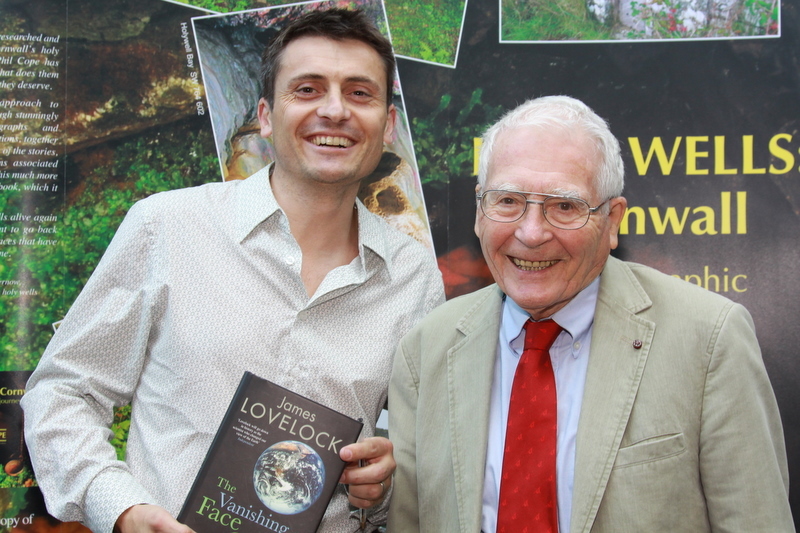 Professor James Lovelock and his groupie! I was fortunate enough to meet and then hear the eminent climatologist Professor James Lovelock speak at the excellent Charles Causley festival in Launceston Town Hall last week. The 92 year old(!) Professor Lovelock has written numerous books on the concept of the earth organism known as Gaia. I have long been an admirer and it was great to talk to him so candidly about his rather pessimistic outlook for our planet over the next 20-30 years. He has been a strong advocate of nuclear power for many years and he made a good analogy of having visited the French Nuclear waste processing plant at Le Hague and then returning to Cornwall where you only have to go to St.Ives to be exposed to three times the radiation! He was also very dismissive of wind generation and referred me to the excellent Sustainable Energy without the Hot Air by David MacKay, Professor of Physics at the University of Cambridge. It seems that turning my thermostat down is the easiest contribution I can make to saving the planet as well as buying an electric car if I could afford one! If you haven’t read any of his books then I strongly recommend the Vanishing Face of Gaia which is very readable but ultimately very depressing. UK Freeze = Global Warming? 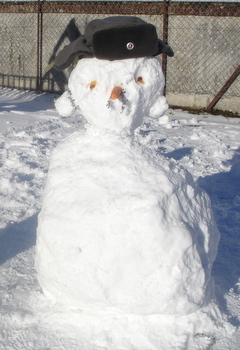 OK so my attempts at making snow people aren’t great but my Stasi hat bought at Checkpoint Charlie gives it a certain authoritative look. Didn’t stop the local hoodlums from tormenting him and his carrot nose was last found in an inappropriate place. So how can this cold weather be linked with the theory of global warming. The problem with many of us is we tend tyo be very Eurocentric and our thinking doesn’t extend beyond our local area. Fortunately we now have satellites that can provide a far more detailed view of our global temperatures. By using the brilliant NASA temperature anomaly tool here we can examine temperatue differences across the globe. A simple data input can give us the following summary map for the World. As you can see the cooler blue sections over Scandinavia and the UK are dwarfed in size by the deep red over the remaining continental landmasses in the northern hemisphere, especially over northern Russia and North America. The temperatures in western Greenland, northern Canada and Siberia were between two and ten degrees higher than usual. A graph by latitude shows the significant anomaly in the northern hemisphere. According to NASA’s datasets, the world has just experienced the warmest January-November since the global record began, 131 years ago. 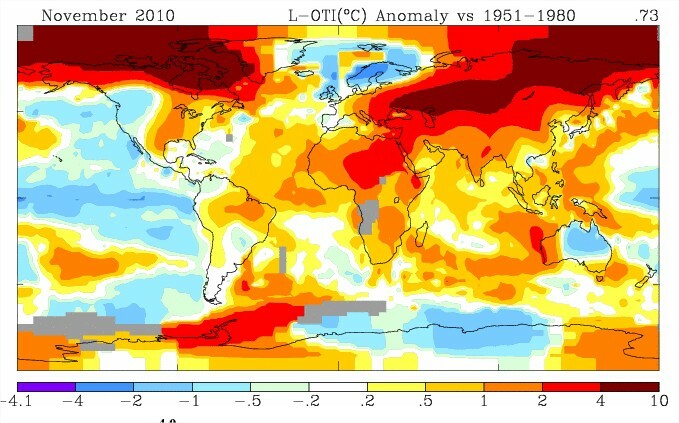 2010 looks likely to be either the hottest or the equal hottest year. This November was the warmest on record. Thank you the the excellent George Monbiot article here for making this all very clear and pointing out to the naysayers and bumpkin climate ‘experts’ that our climate is far greater than the picture of snowmen outside our windows! The UK Met Office Hadley Centre with a variety of other agencies has produced a fantastic Climate Change layer for Google Earth. 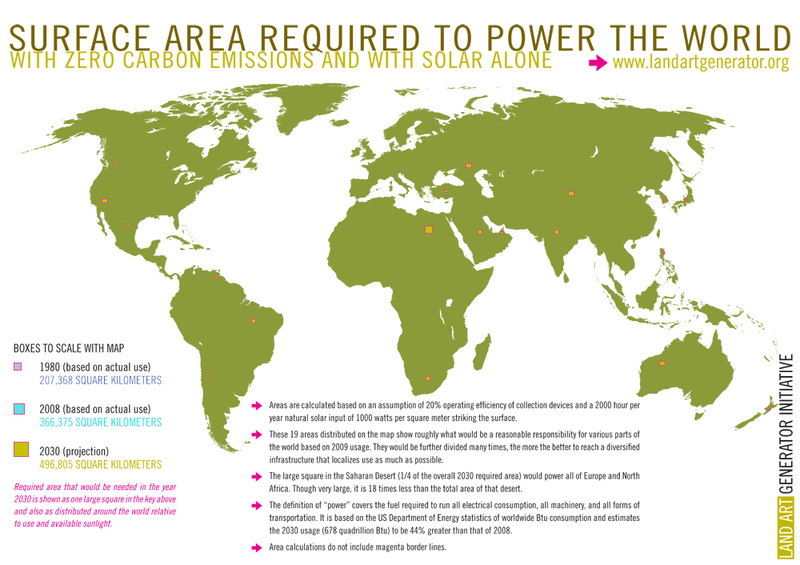 It looks at a change of 4 degrees on climate change and their associated possible impacts. Like all climate change mapos there is a degree of uncertainty but if I was to trust any scientific body to produce an accurate forecast then the Met Office would be top of my list. 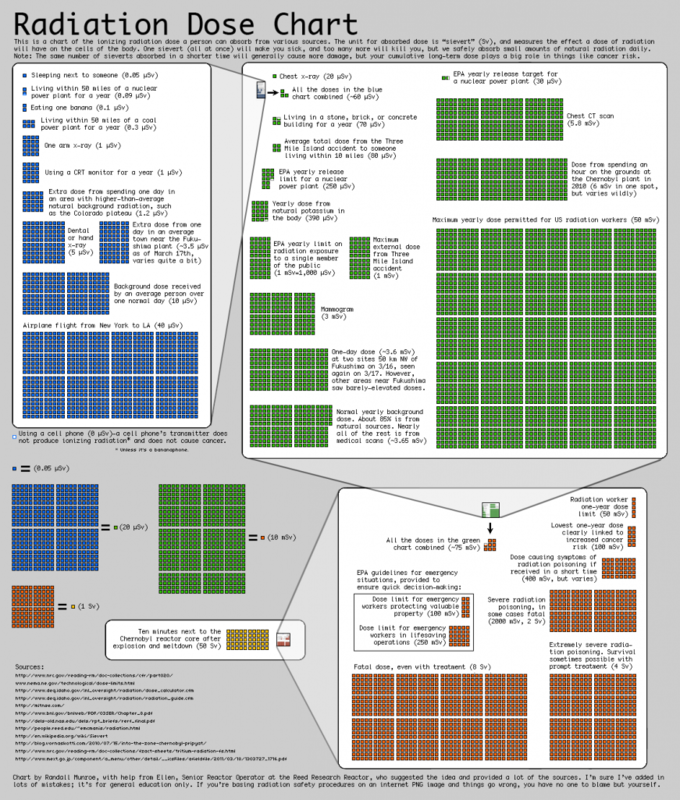 You can download the KML file here but you will need to have Google Earth installed first. Good video on Channel 4 news about the layer here.